Researchers at the University of Cincinnati developed an algorithm that safeguards hardware from attacks to steal data. In these attacks, hackers detect variations of power and electromagnetic radiation in electronic devices’ hardware and then use that variation to steal encrypted information. The UC researchers recently published their work in the Institute of Engineering and Technology Journal. The findings shape the future of hardware security in innovative and impactful ways, staples of UC’s strategic direction, Next Lives Here. Electronic devices are more secure than ever before. Devices that used to rely on passwords now use Touch ID, or even face-recognition software. Unlocking our phones is like entering a 21st century Batcave, with high-tech security measures guarding every entry. But protecting software is only one part of electronic security. Hardware is also susceptible to attacks. “In general, we believe that because we write secure software, we can secure everything,” said University of Wyoming assistant professor Mike Borowczak, Ph.D., who graduated from UC. 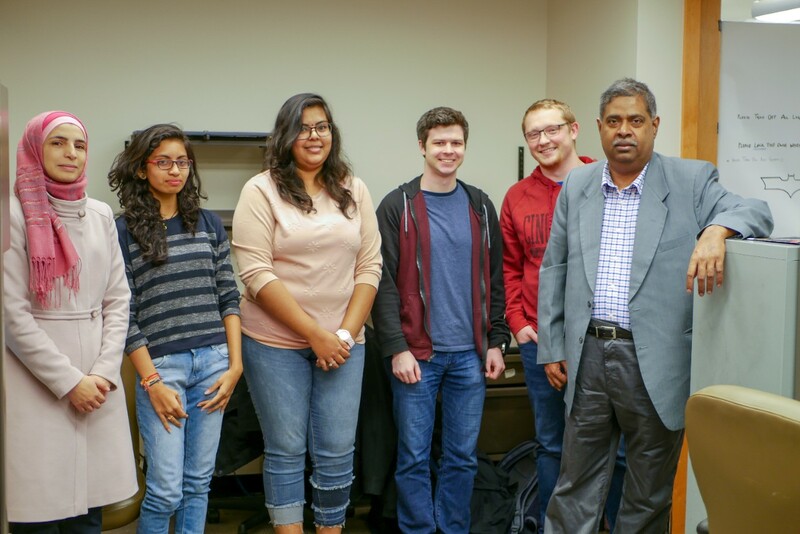 He and his advisor, UC professor Ranga Vemuri, Ph.D., led the project. “Regardless of how secure you make your software, if your hardware leaks information, you can basically bypass all those security mechanisms,” Borowczak said. Devices such as remote car keys, cable boxes and even credit card chips are all vulnerable to hardware attacks, mostly because of their design. These devices are small and lightweight and typically operate on minimal power. Engineers optimize designs, so the devices can work within these low-power constraints. Regardless of how secure you make your software, if your hardware leaks information, you can basically bypass all those security mechanisms. Here’s how a device becomes vulnerable to attacks: When something like a cable box turns on, it decodes and encodes specific manufacturer information tied to its security. This decoding and encoding process draws more power and emits more electromagnetic radiation than when all of the other functions are on. Over time, these variations in power and radiation create a pattern unique to that cable box, and that unique signature is exactly what hackers are looking for. “If you could steal information from something like a DVR early on, you could basically use it to reverse engineer and figure out how the decryption was happening,” Borowczak said. And hackers don’t need physical access to a device to take this information. Attackers can remotely detect frequencies in car keys and break into a car from more than 100 yards away. We’ve basically equalized the amount of power consumed across all the cycles, whereby even if attackers have power measurements, they can’t do anything with that information. To secure the hardware in these devices, Vemuri and Borowczak went back to square one: the device’s design. Borowczak and Vemuri aim to restructure their design and code them in a way that doesn’t leak information. To do this, they developed an algorithm to design more secure hardware. What’s left is a more secure device with a more automated design. Rather than manually securing each hardware component, the algorithm automates the process. On top of that, a device created using this algorithm only uses about 5 percent more power than an insecure device, making the work commercially viable. Software and hardware security is an ongoing game of cat and mouse: As security technologies improve, hackers eventually find ways around these barriers. Hardware security is further complicated by the expanding network of devices and their interactivity, also known as the Internet of Things. 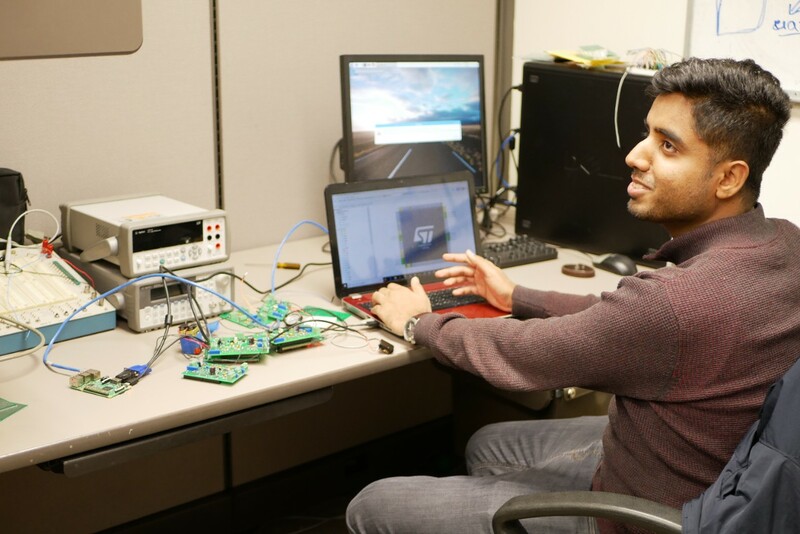 Innovative research, like the work by Vemuri and Borowczak, can give people an extra layer of safety and security in this future of connected devices. 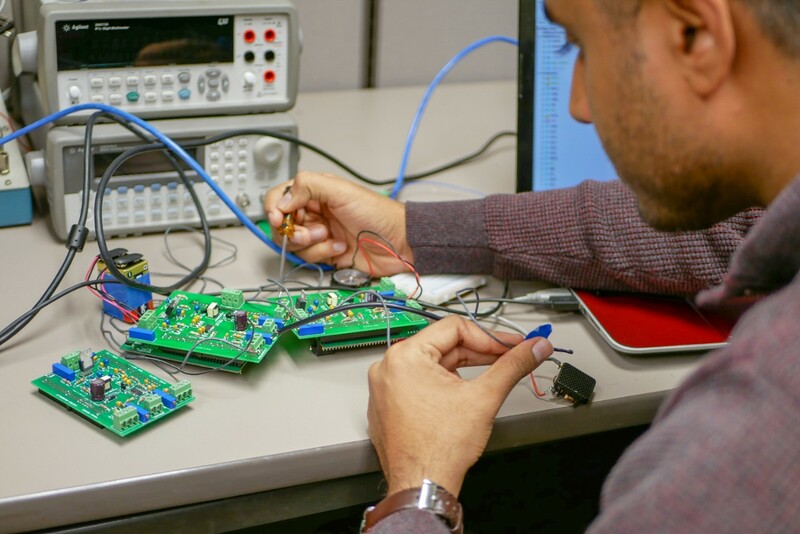 Researchers in the UC Digital Design Environments Laboratory work on embedded hardware security and trust projects, including logic encryption, split manufacturing, Trojan detection/avoidance, side-channel defense, post-silicon validation and acceleration for formal verification methods. Their work is funded in part by the U.S. Air Force Research Laboratory, Defense Associated Graduate Student Innovators and Edaptive Computing Inc.